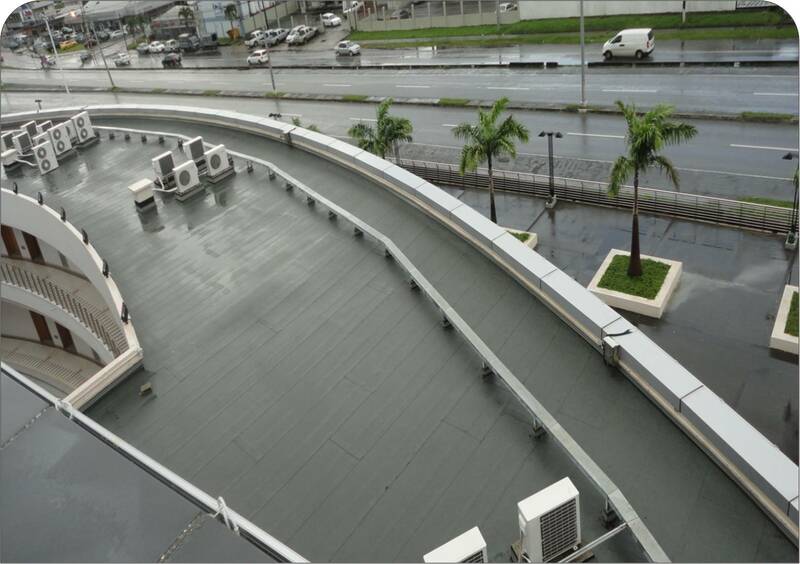 2 Ply Index Argo APP Polymer Modified Bitumen Roofing System fully adhered to a sloping concrete roof deck, complete with perimeter skirting and customised termination flashing. This project was completed on time, within budget and to the satisfaction of our client. A ten (10) year WSCL Warranty was issued to ensure the waterproofing ability of the materials and workmanship employed.